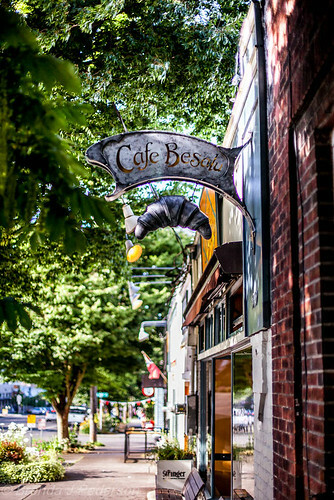 Café Besalu sits in a quieter area of Ballard. 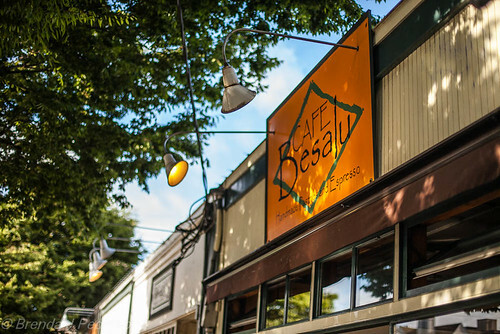 A few blocks north of the hubbub of Market St and Ballard Ave you’ll find an unassuming block of businesses quietly serving the local community. Parking is still free on this section of 24th Ave and it’s generally easy to find a spot within a block of the bakery. The first time I tried to visit this little gem, I was disappointed to find it closed. The second time, they had just closed and were in process of the end-of-day cleaning. Persistence paid off, however, and in subsequent visits I’ve sampled several of their delicious items. The number of options is limited but everything is packed with flavor. I can honestly say I’ve loved everything I’ve tried and everything has been beautifully crafted. 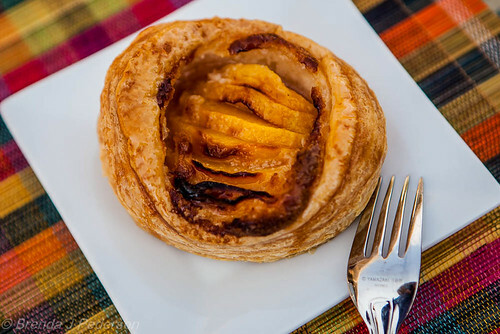 On a recent trip I left with a cheese brioche, a chocolate-hazelnut (flourless) cookie and a peach pastry – sort of voul au vant, although they called it something else that slips my mind. I have yet to try any of the quiche but one of these days I’ll drop by for lunch and that’s what I’ll choose. While the pastry choices change with the seasons, the perfect French technique remains constant. On nice days grab a table on the sidewalk or you can choose an inside table if you’d like to stay awhile. Just make sure you note their hours: Wednesday – Sunday, 7:00 a.m. – 3:00 p.m.
That looks like a great place to sit and relax with a pastry on a day like today!